We have all been there. We need to purchase an expensive item, but we don’t have the cash up front. The first reaction might be to put it on a credit card, but don’t forget fast cash personal loans. Personal loans are actually more traditional but are often overlooked these days with the convenience of a credit card. In many cases, credit cards are not the best option. Unfortunately, falling into credit card debt is very easy and difficult to recover from. When looking to purchase big ticket items, personal loans tend to be a cost-efficient solution to your financial needs. Whether you are looking to borrow as little as $100 or as much as $1000, getting a personal loan can be fast an even easy! 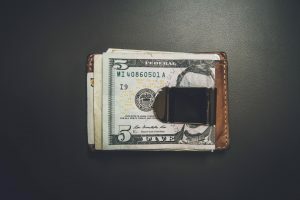 Here we have compiled the top 3 benefits for using personal loans instead of a credit card the next time you need access to cash. 1. The great thing about a personal loan is that it gives you one lump sum of money up front. When you need cash in a hurry, you can have access to the money right away. Unlike a credit card repayment, you can pay it back over a fixed term with fixed interest rates. This stability assures that these fixed rates cannot fluctuate during your repayment period, allowing to be able to create a monthly budget and repay your loan promptly. 2. Having fixed payments on your personal loan makes sticking to your household budget a breeze because it allows you to know exactly what to expect. Unlike credit cards, monthly payments on a personal loan don’t change from month to month. Whether you live on a fixed income or even work unpredictable hours, personal loan payments remain the same each and every month so you can plan your household and personal budget accordingly. 3. More often than not, the interest rate is lower on a personal loan than a credit card. They are a great financing option when you need a certain amount of money right away and can afford to make repayments over time. Interest rates on credit cards can be through the roof, as well as fluctuate over the repayment period. If you would rather have a dependable plan, with the repayments scheduled out over a period of time and a fixed interest rate, a personal loan is the way to go. If you are interested in working with Tio Rico, we make the process simple for you to apply for a fast cash, no credit personal loan. Contact us today for more details at (602) 322-1010.